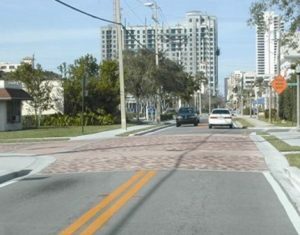 Vertical treatments are aimed at drivers slowing down to avoid the discomfort created from the treatment. 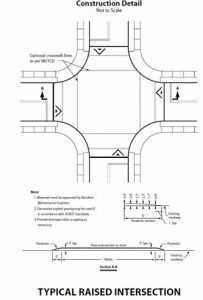 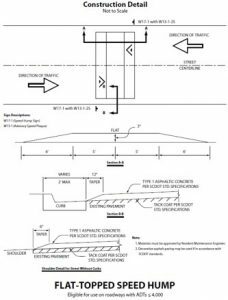 Construction detail for a typical raised intersection (SCDOT 2006). 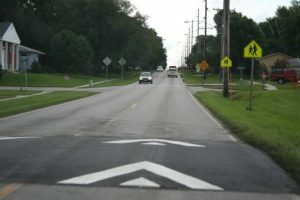 Construction detail for a flat-topped speed hump (SCDOT 2006).